Arsenal injury updates ahead of Hull City game. 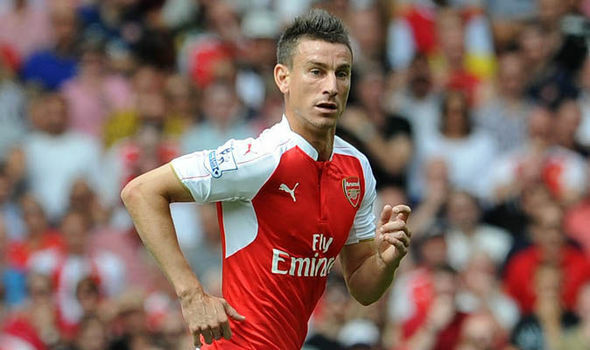 Laurent Koscielny returns from injury but Gabriel and Wilshere are still out. But could return for Manchester United game next week. Arsenal manager Arsene Wenger has given big news ahead of the FA Cup fifth round clash against Hull City. The French boss has revealed that star center-back Laurent Koscielny has returned from his injury and is likely to start tomorrow’s game. The Gunners will welcome Hull City once again in the FA Cup. Last time they met two years ago in the FA Cup final which was won by Arsenal. Koscielny picked up an injury last weekend but now has successfully returned. This will be a great boost as the North London side will also be facing La Liga giants Barcelona in the Champions League next week. However, he will undergo a late fitness test tomorrow morning which will decide whether the French defender can start or not. Also Read: Arsenal Transfer News And Latest News! While on the other hand, Gabriel Paulista remains out with a hamstring injury but will return next week. The boss has confirmed that he will miss this FA game and Champions League game but could return next weekend when Arsenal face Manchester United. Midfielder Jack Wilshere is yet to return, he will still take few weeks before returning to action. He has been out since last summer. great news! especially because for the UCL game. cmon gunners! !